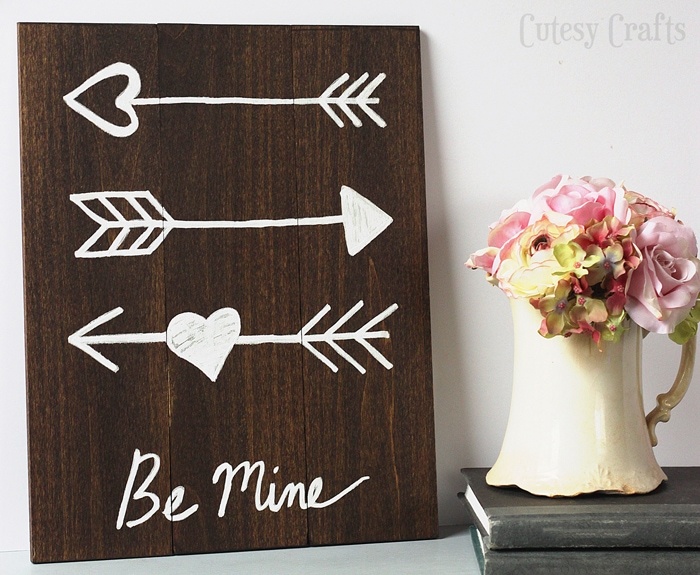 I know we’re all counting down to Valentine’s Day this week, but there’s still time to make this really easy Valentine’s Day arrow art. I’m not great with power tools, so the boards are glued instead of nailed, and the design was applied with a paint pen instead of a brush. 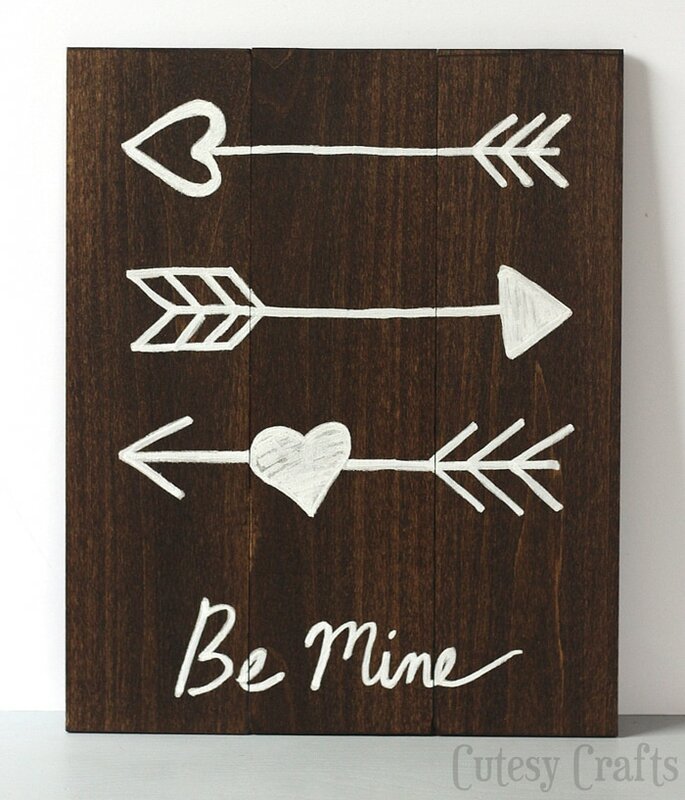 I’ve even provided a printout of my design that you can easily transfer to the wood. No artistic skills needed! That’s my kind of project! 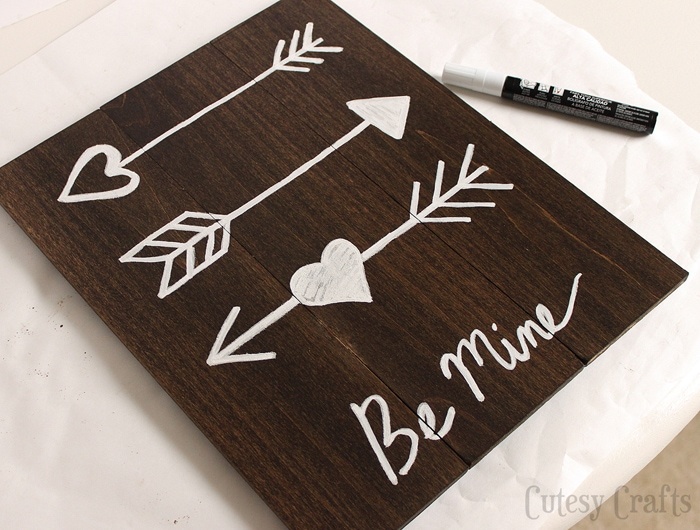 I love the white paint on top of the dark wood stain! 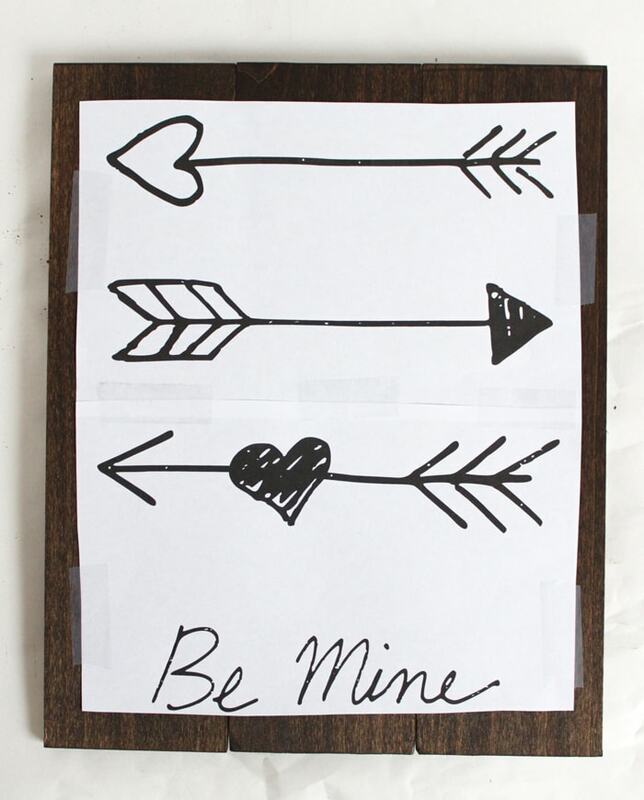 I actually doodled these arrows on some paper, and that’s where the design came from. More on that later though. 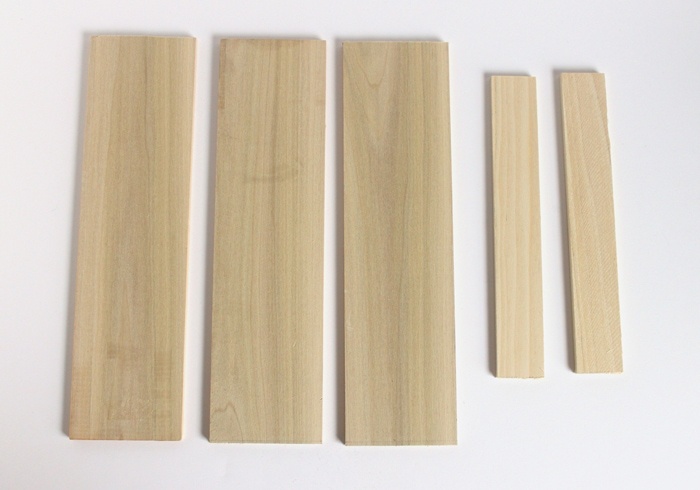 The boards I bought are made from poplar, and I got them at the hardware store. You can use something else if you want. Cut the 3 1/2 inch wide board into three 13-inch sections. Cut the 2 inch wide board into two 10-inch sections. You should have a little left over from each board when you are done. Sand each of the boards, put on your gloves and stain the wood, following the instructions on the can. Let everything dry. Line up your three larger boards. I left a small gap in between each board because I wanted to be able to see the separation of the boards. 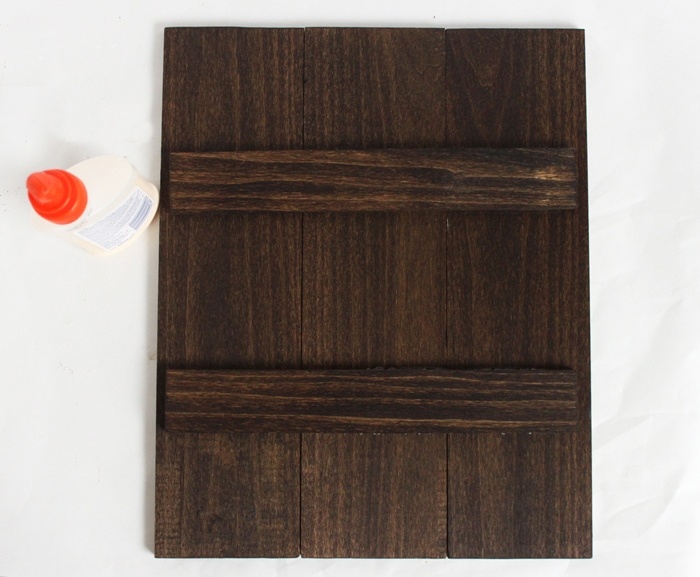 Put some glue on the two smaller pieces of wood and place them on the larger wood like in the photo below. Press down firmly and put something heavy on top to weigh it down. Be careful not to put too much glue, or it could come through the cracks to the front. You might even want to try carefully turning the whole thing over before placing the books on top. That way any extra glue will flow toward the back. Let the glue dry overnight. 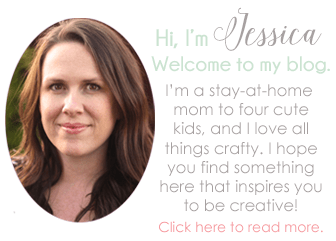 Print out the design and tape it together. Center it on the boards, and tape it down in a few spots. 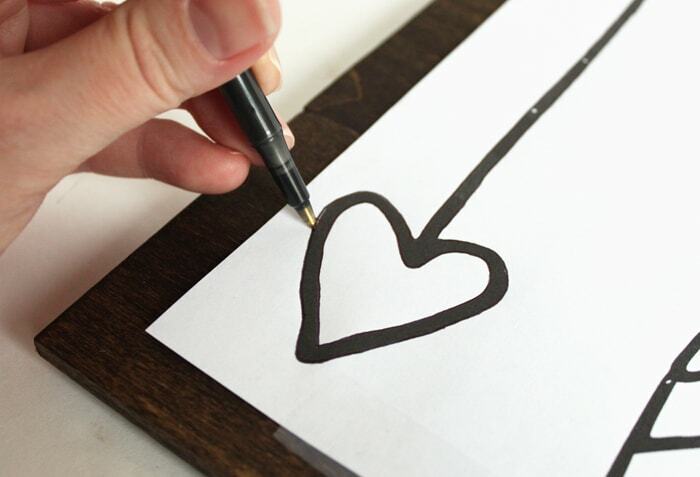 Firmly trace the outline of the design with a pen. 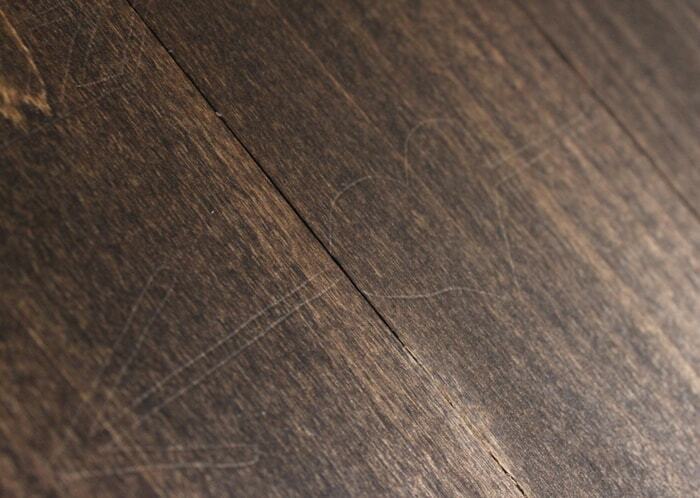 This will should light marks in the wood. 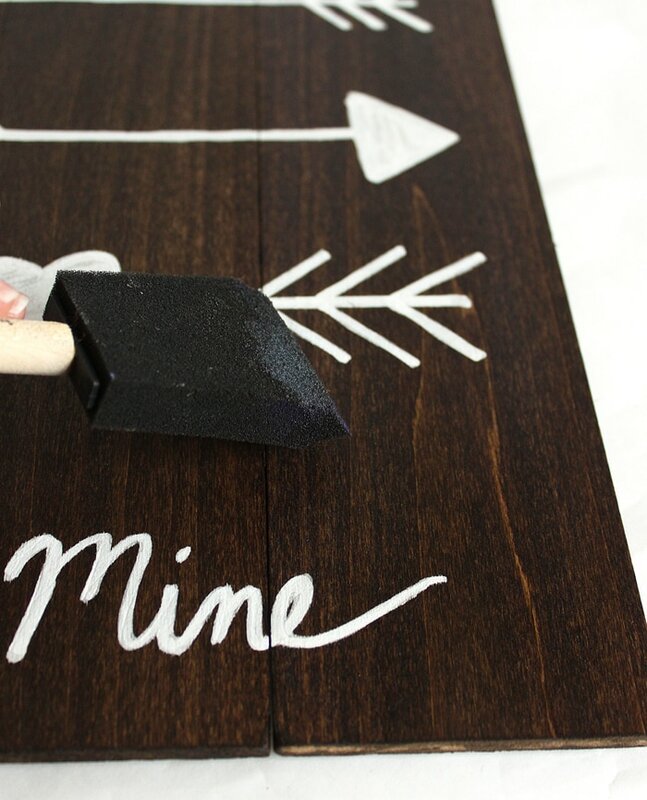 Use your paint pen to fill in the design. Don’t worry about making it perfect. It’s a hand-drawn design, and it’s supposed to look that way. If you are right handed, be sure to start on the left and work your way to the right so you don’t smear it. 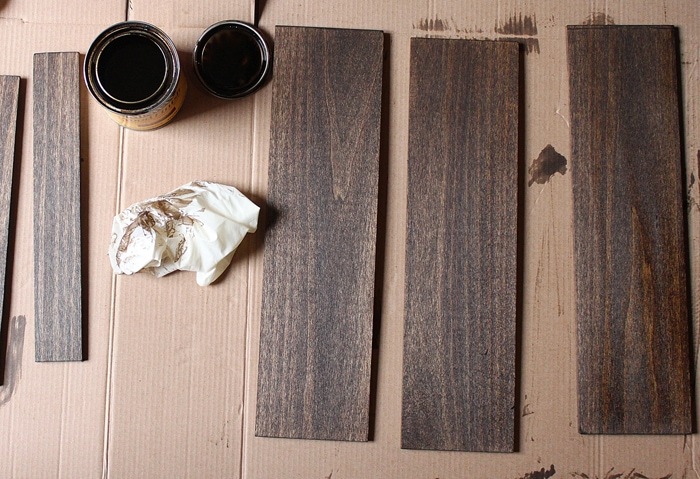 Once the paint has dried, paint over the entire project with some varnish or other clear coat to seal it. I used a clear varnish that I picked up at the craft store. 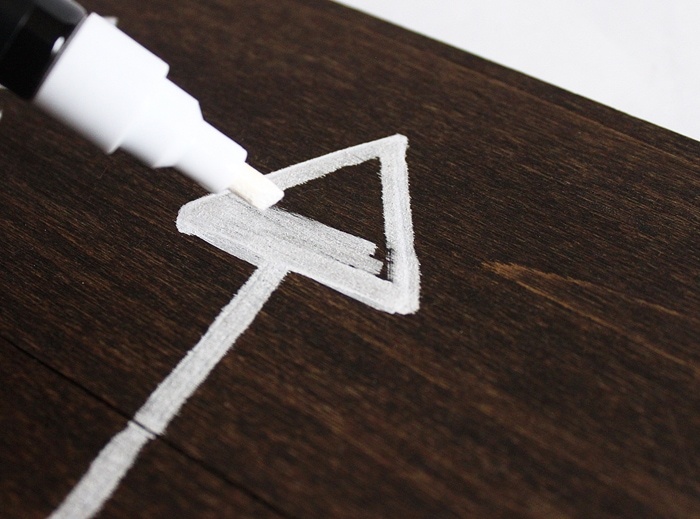 Just don’t use any oil-based polyurethane, as it will turn the white paint yellow. That’s it! Easier than it looks, right? I’ll definitely be making some more wall art like this. 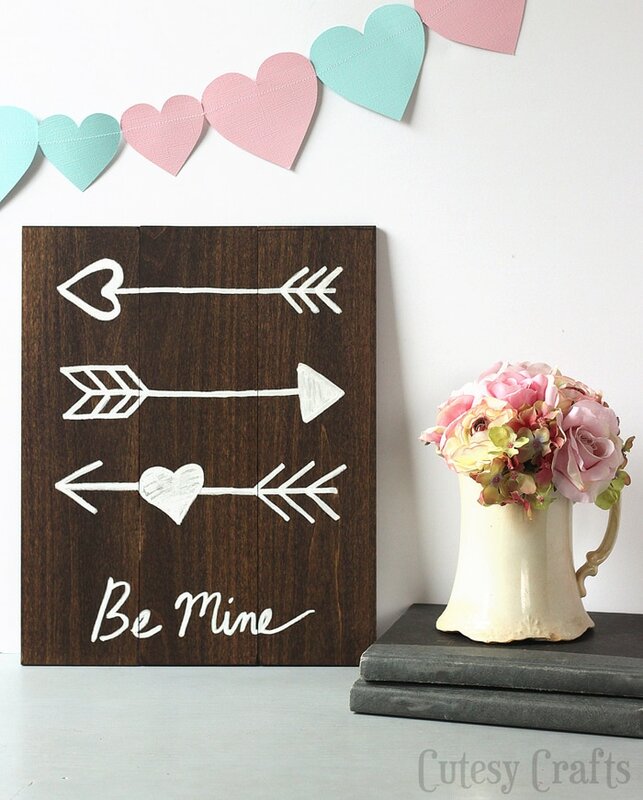 This arrow art looks so great with my Valentine decor!